Dixie Selden was born in Cincinnati as the first child of John and Martha Selden and lived most of her childhood in Covington, Kentucky. She began taking courses at the McMicken School of Design in 1884, which became the Art Academy of Cincinnati in 1885. She took classes at the Academy until 1890 and studied under Frank Duveneck and became one of his favorite students. Later she took years of intense private study with Duveneck. At his request she painted his portrait before he died. Around 1910 she went to Venice, Italy to study under William Merritt Chase and, in 1914, she began taking lessons from Henry B. Snell at St. Ives in England. These summers, spent travelling and painting with her teachers, initiated her extensive travels through Europe, the Middle East, China, Japan, Scandinavia and Mexico. Her early career was spent painting subject matter largely reserved for amateur women artists - portraits, indoor and outdoor scenes of domestic life and flowers. As she matured, she increasingly specialized in portraiture, the means by which she claimed her status as a professional. 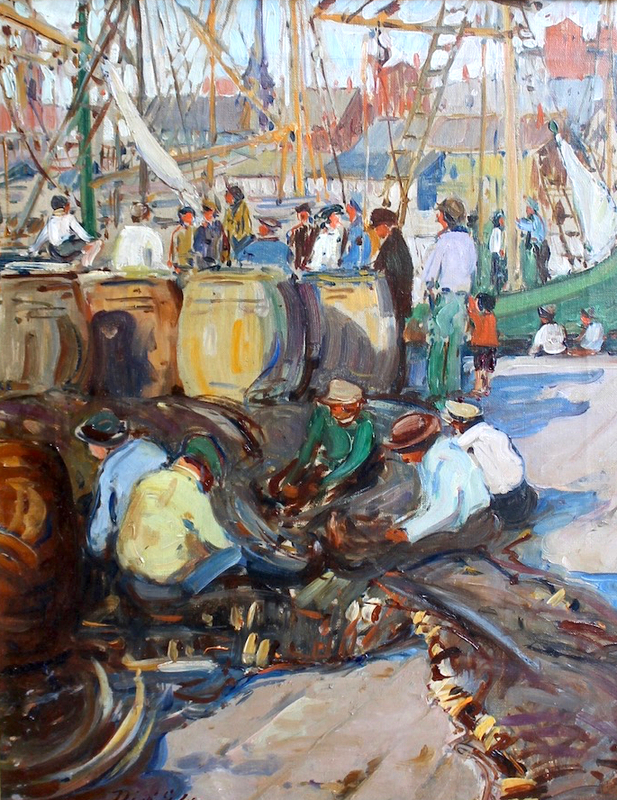 She also developed a considerable reputation for painting the daily life and lively street scenes of the various locales she visited.